Tucson Sino Choir (TSC) is a non-profit organization under IRS (503)(c)(1), organized exclusively for charitable and educational purposes, to provide members and the community an enriched artistic experience through the study and performance of Chinese and American choral music, to establish a high standard of musical excellence, to build bridges of understanding among diverse communities through music and cultural activities, and representing and serving the community as an artistic and cultural resource. Tucson Sino Choir’s members represent a broad variety of disciplines including college professors, researchers, engineers, and students, as well as entrepreneurs. 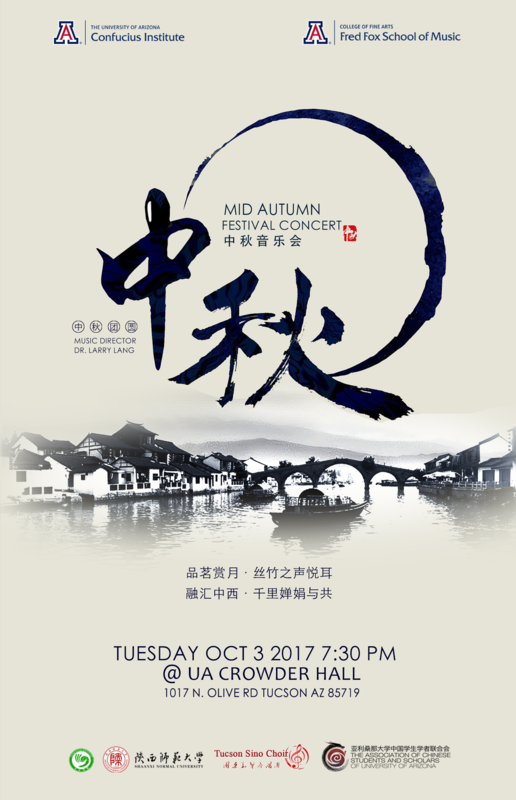 Repertoire embraces music from a variety of Chinese cultural traditions and Western works.